A plain Margarita is one of my favorite cocktails, but I find I enjoy flavored variations of them even more. The sky is the limit when it comes to Margarita variations. I love Jalapeno Watermelon Margaritas, Pepper Jelly Margaritas, Tangerine Margaritas, and Blackberry Margaritas. 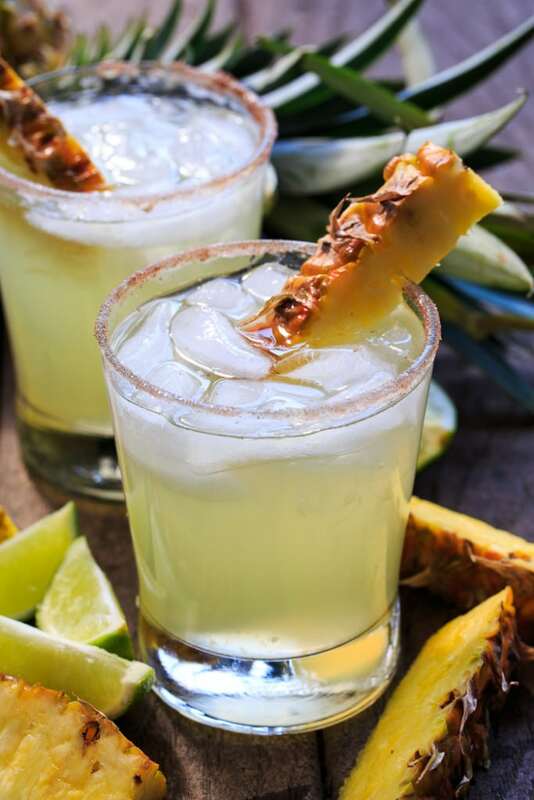 And these Pineapple-Cinnamon Margaritas are a favorite as well. Pineapple-Cinnamon Margaritas are a little bit sweeter than your typical Margarita. 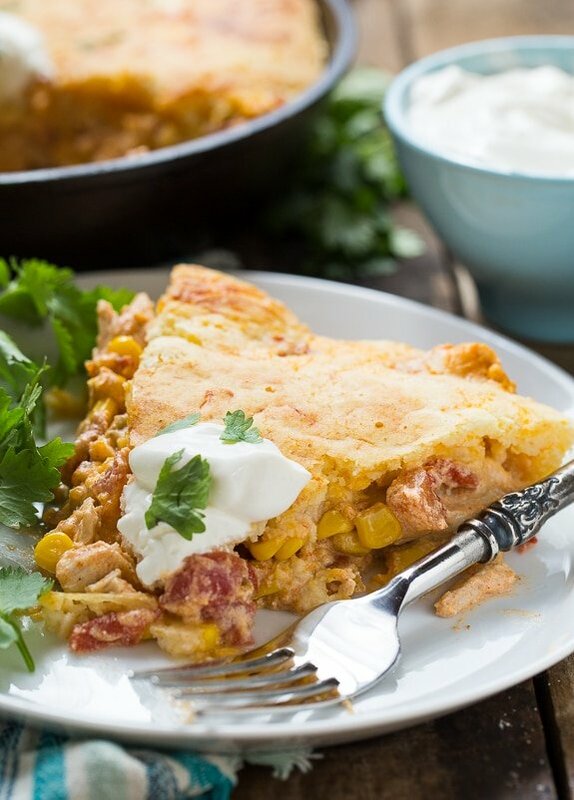 The pineapple gives it a wonderful tropical flavor. They’re no more difficult to make than a regular Margarita, they just have Pineapple juice added to them. The glass rims are coated in a sugar-cinnamon mixture instead of salt. A touch of cinnamon goes so well with the pineapple flavor. If you want more cinnamon flavor, you can add a little to the Margarita mixture. I love having superfine sugar or caster sugar on hand for making cocktails. It magically dissolves with just a few stirs and there’s no need to go to the trouble of making simple syrup. 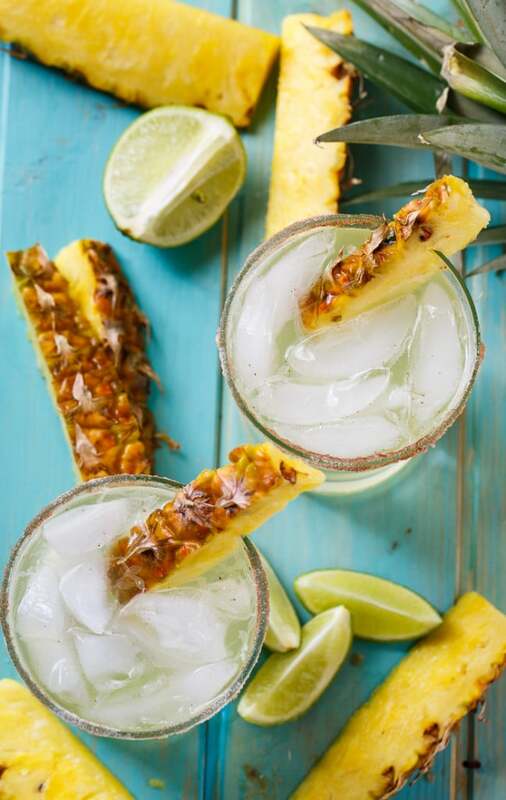 With their tropical flavor, these Pineapple-Cinnamon Margaritas will quench your thirst all summer long. 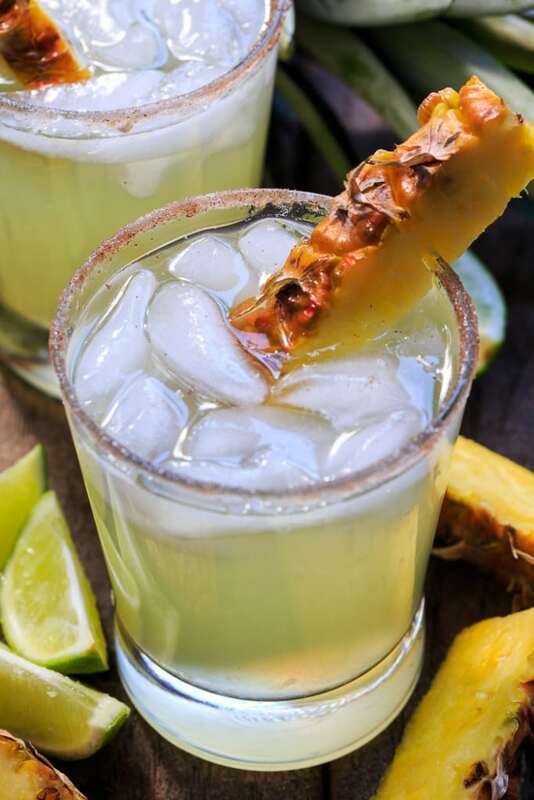 Pineapple-Cinnamon Margaritas are a little sweeter than a regular margarita and have a wonderful tropical flavor. 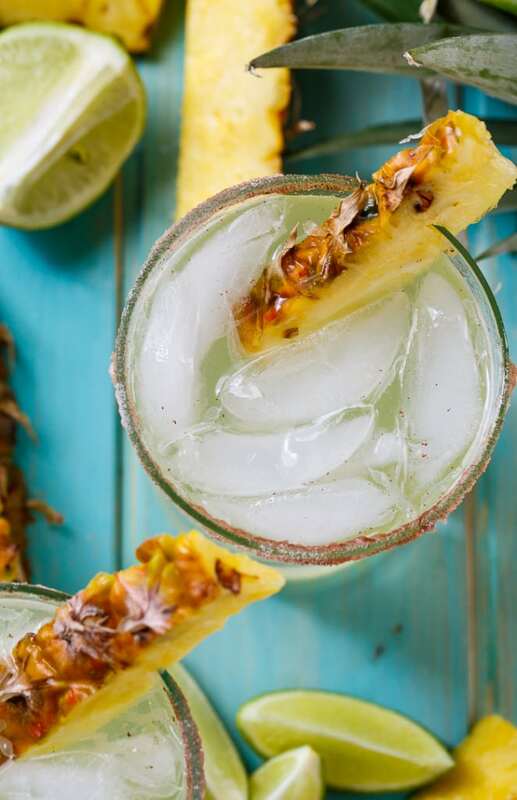 Combine pineapple juice, tequila, triple sec, lime juice, and 2 tablespoons superfine sugar in a pitcher. On a small plate, combine 2 tablespoons superfine sugar and cinnamon. Rub rims of 4 glasses with lime. Dip rims in cinnamon-sugar mixture. Fill with ice. 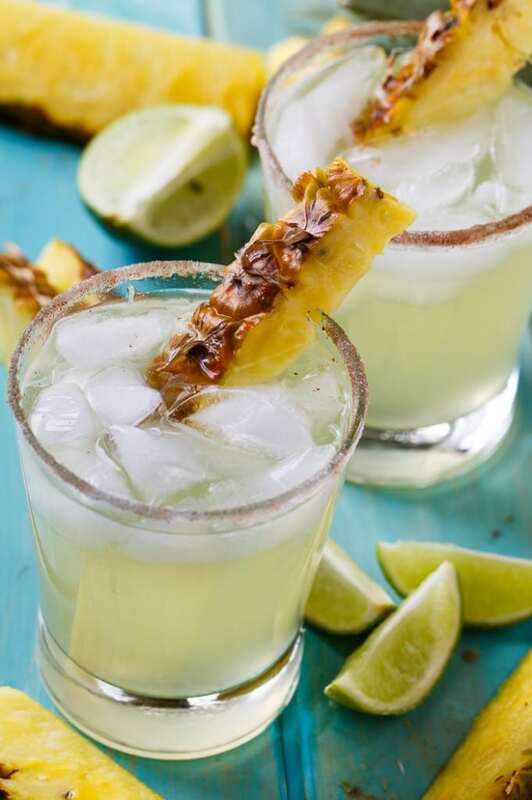 These Pineapple-Cinnamon Margaritas are just the thing for Cinco de Mayo. 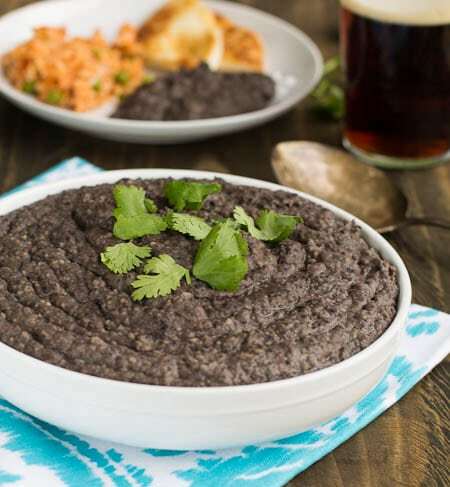 Here are some more recipes that go great with them. This entry was posted in Cocktails and tagged margarita, pineapple. Bookmark the permalink. What a delightfully refreshing margarita! 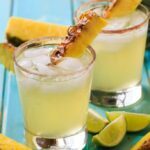 Christin, I can honestly say, I’ve never had a Pineapple-Cinnamon Margarita ever – so brilliant! Ooo this is such a fun flavor for a margarita! I love the touch of cinnamon!! This flavor sounds SO good, Christin! I love margaritas, but it has to be a flavored kind. This pineapple cinnamon version sounds incredible! Wish I had this to sip on right now!